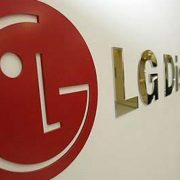 During the 3Q performance conference call on 26th, LG Display mentioned that their investment ratio in OLED was 50% this year, and plans to increase its ratio to at least 70% next year. Small and medium sized mobile display market will quickly change from LCD to POLED, and plans to strengthen business cooperation in 1Q of next year, such as mass production of 6th generation E5 line and technological competitiveness, in order to make the basis of OLED extension. It means they started to concentrate on small and medium sized OLED business starting next year. They also revealed their production plan and future strategies of POLED production line. Gumi E5-1 line and E5-2 line are productions lines with monthly production capacity of 7500 sheets each, where they are proceeding POLED investments after converting existing LTPS facility, and also Paju E6 line is in process of investment to increase the monthly capacity of 15,000 sheets. It seems they will be capable for mass production by 2H 2018. OLED TV market indicated that they will continue to put effort in cost reduction from improvements in rate, process, and production. They mentioned to establish OLED market more firmly in 1H of next year after successfully increasing the mass production capacity to 25,000 sheets. Among the entire TV panel, OLED sales took up 10%, and among OLED TV panel, 55-inch screen took up 70%, and they forecasted 65-inch market ratio will increase. They noted they have high expectations of market growth in large screen HD field in large LCD. China is catching up in the market very fast but, they emphasized they will be able to easily acquire profitability by concentrating in high-end LCD such as OLED. The biggest reason that they choice OLED as their next generation business is because there are possibilities in extension in automobile and commercial other than existing TV•monitor IT devices, and in case of automobiles, they said they are currently in cooperation with many other companies, and also informed many companies are interested in currently ongoing topic, VR, where they plan to adopt plastic OLED products. In case of commercial products, they are proceeding developments with their customers in various fields such as medical and broadcasting other than public signage. They also mentioned that they are planning to proceed OLED light business after collecting many applications in one place. 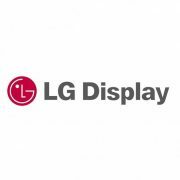 From price increase of large LCD panel and extension of large-scale trend of all products, LG Display continued their profit relay for 18 consecutive quarters by resulting 3rd quarter sales of 6,723,800 million KRW and profit of 323,200 million KRW. 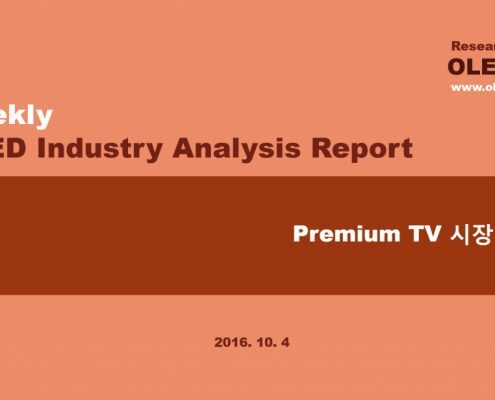 Sales increased by 15% (5,855,100 million) compared to past quarter, operating profit increased by 634% compared to past quarter (44,400 million KRW) due to improvements in high-valued products such as ASP, UHD, and IPS. 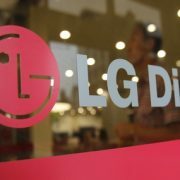 On the other hand, according to Yubi industry research, LG Display forecasted to ship out 900 thousand large OLED panel in 2016, and 1,500 thousand in next year.